The ‘It” Independence Day celebration in Branson is an awesome show like no other where families enjoy picnic, food and games as the Hughes Brothers Family along with over 50 amazing singers, dancers, and musicians combine their amazing talents to create ultimate entertainment experience at the Hughes Brothers Theater. Food and games begin at 5:30 pm for a traditional family picnic and games. 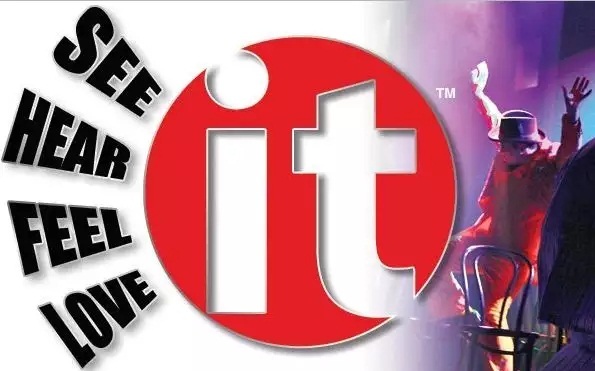 The ‘It’ Independence Day celebration in Branson starring Hughes Brothers Family starts at 7:00 pm to give everyone a chance to see Fireworks afterwards. Beautifully located at Hwy 76 Strip (West) in Branson, this holiday event celebrates America’s independence with a bang. Throughout Branson, you’ll find several fireworks display for the 4th galore, sidewalk sales, and many other holiday celebrations in the area. It’s great to celebrate Independence Day where patriotism is a way of life in Branson and elsewhere. The ‘It’ Show at Hughes Brothers Theater offers a unique entertainment experience in Branson. This holiday event is performed each year from January through October. This two-hour show gives guests the opportunity to enjoy beautiful harmonies, hilarious comedy, and multi-layered musical arrangements in the style of pop, R&B, rock, country, classical, Broadway, and more. You are encouraged to bring your own chairs, if you are planning to attend spectacular fireworks display and other outdoor events. Some venues during this holiday event offer seating, so make sure you arrive as early as possible to get the best view. As the 4th of July celebration in Branson is quite popular, you are advised to allow a little time to travel from point to point. If you stay in Branson for a night or two, make a reservation for your lodging and show tickets several days in advance. The ‘It’ Show at Hughes Brothers Theater brings ultimate musical experience and delivers everything you want in a Branson show and more. It’s exciting to see virtuoso instrumental performances, spine-tingling harmonies, soaring powerful vocals, hilarious comedy, intoxicating multi-layer musical arrangements of the best in pop, R&B, rock, country, classical, patriotic, Broadway, and gospel music. The captivating performances of the amazing musicians are sure to capture the attention of every audience at the Hughes Brothers Theater. So don’t miss to see this family show. Whether you are grandparents or a young couple with young children you can be entertained by this amazing family show. This family show in Branson brings amazing display of talents from the Brothers, Wives, Children and Grandchildren. The “It” Independence Day Celebration is a must see show for all visitors travelling to Branson. The entire family of Hughes will take you on a musical journey through Broadway, Pop, Classical, Gospel, and Salute to the Military giving more surprises around every corner. Take your family to this family show, you’ll love to see it, hear it, feel it and you’ll absolutely enjoy with it. The ‘It’ Independence Day celebration in Branson is a great holiday event where every member of the family can enjoy picnic, food, games, and awesome show at the Hughes Brothers Theater.